It has been a week of highs and lows but mostly highs. I had such a wonderful time on Monday speaking at the American Airlines Women in Aviation Conference about Living Fearlessly. As soon as I get videos and pictures I will make sure to post. I also got to see Priscilla Queen of the Desert on Broadway with my two good friends, Alicia and Kat, who I traveled with to Australia 20 years ago (I can not believe it has been that long!) The show was fantastic and I highly recommend it to anyone who loves great music, over-the-top costumes and drag queens! Sandwiched in between those great events were lots of Dr's appointments and chemotherapy. The good news is that my platelets and my liver function seems to be moving in the right direction. We will feel better if we continue to see improvement. Chemo has been very hard this week. I find myself so physically exhausted at the end of the day. I fall into the deepest sleep for 10 hours and wake up with lines all over my face! I am into my 2nd week of being a blog expert on WebMD and I am having a great time. I don't plan on posting my WebMD blogs on this site but this is a topic that I have always loved so I wanted to share it with you. You can read it via the WebMD link or I posted the content of the blog below for those of you who don't want to leave the page. I hope you enjoy it! It was very fun to write and I think it teaches some valuable lessons about being an advocate for yourself regardless of what you face in life. PLEASE post comments on the WebMD site so they think people are engaging with me :) I have to build up an audience. These aren’t necessarily the first words you would picture a patient saying to their team of oncologists when they receive a cancer diagnosis. However, I believe they were pretty close to mine. I was 33 years old and had just found out that I had a rare type of cancer and my odds of surviving were 50/50. I vowed that I would become my own best advocate. I would not only be a star patient but I would be a star at taking care of myself and my physical, nutritional and spiritual needs. I was determined to take control of my treatment and set parameters and boundaries when it came to my disease. 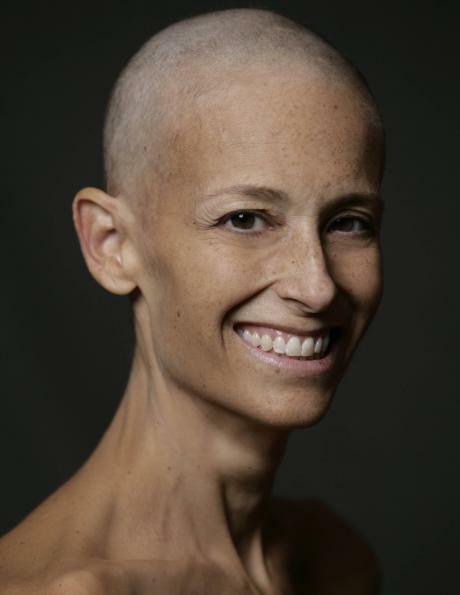 Just because I had “cancer” did not mean that I had to forgo things that appealed to me. I explained that obviously I want to do all I could to rid myself of the disease and that was clearly the #1 priority. HOWEVER, if it was at all possible to minimize the amount of steroids I would need to take, I would greatly appreciate it. I didn’t want to lose my hair AND gain 20 pounds if I could help it. My doctor explained to me that the chemotherapy regimen he was about to put me on would, in fact, make me lose my hair. “OK, but if you make me bald, I don’t want to be fat too!” He immediately started laughing. I think he was so surprised by my reaction. I am pretty sure no other patient had been so bold (or so off their rocker). And then my doctor turned to me and said something very unexpected: “I wish more patients were as vain as you.” “What?” I said, “I must have heard wrong because the last thing I expected out of this selfish, egotistical conversation was a compliment. I left that day feeling empowered and a bit lighter on my feet. If there was one thing you could say about me, I was vain! And the conversation that I had with my doctor made me realize that asking for what I needed was just as much a part of my treatment and recovery regimen as the chemotherapy. Over the years I have asked for a lot of things that seem out of the ordinary. At first, it was hard for me to ask. I felt like I was being difficult or high-maintenance or unreasonable. But then I realized, “Hey this is my cancer journey and I want to do it in a way that works for me.” It was important for me to continue to stay in shape so when I found myself in the hospital for 3 days at a time for chemo treatments, I asked if they could bring a stationary bike into the room. I also find that practicing relaxing breathing techniques really helps me manage pain so if I need to be in the hospital, I ask for someone from the integrative medicine center to visit me in the hospital for a quick session. My doctor and I joke around about my “special requests” from time to time but he always appreciates them. When I asked him recently if I could put self-tanner on my bald head so it wouldn’t look so different from my olive-toned face, I thought he might fall out of his chair. But I never forget, I might have cancer but cancer doesn’t have me.